A 19-yr-old woman presents with a severe sore throat, fever and malaise. She has marked cervical lymphadenopathy, gross splenomegaly and scattered petechiae on the soft palate, with enlarged tonsils covered by a confluent white exudate. Her White cell count is mildly elevated, her serum ALT and AST concentrations are twice normal and her ALP is slightly elevated. Which one of the following investigations is most likely to help guide your management? Right Ventricular Myocardial Infarction. This ECG was obtained with right-sided lead placement. 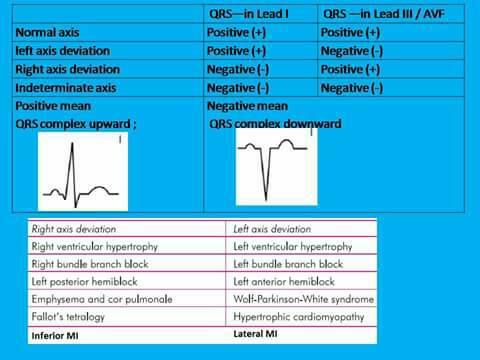 • ST elevation in right-sided V leads (V4R, V5R). • ST elevation greater in lead III than lead II suggests RV MI. • ST elevation in the normally obtained V1 also strongly suggests RV MI. 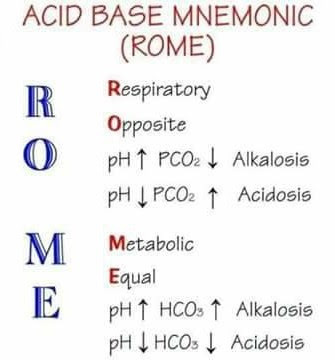 • Often associated with inferior MI and/or posterior MI. ST elevation in V4R and V5R (arrows), with the V4 and V5 leads placed in their mirror-image locations on the right side of the chest. Any ST elevation seen in the right-sided precordial leads is significant. Chondrodermatitis nodularis helicis (CNH) is a common and benign condition characterised by the development of a painful nodule on the ear. Causes: It is thought to be caused by factors such as persistent pressure on the ear (e.g. secondary to sleep, headsets), trauma or cold. CNH is more common in men and with increasing age. 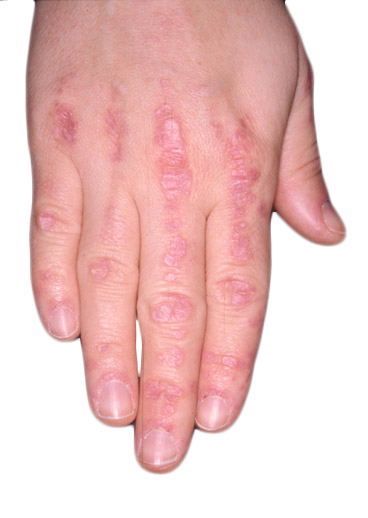 Clinical Presentation: The classic presentation of chondrodermatitis nodularis chronica helicis (CNH) is a middle-aged to elderly man with a spontaneously appearing painful nodule on the helix or antihelix. The nodule usually enlarges rapidly to its maximum size and remains stable. 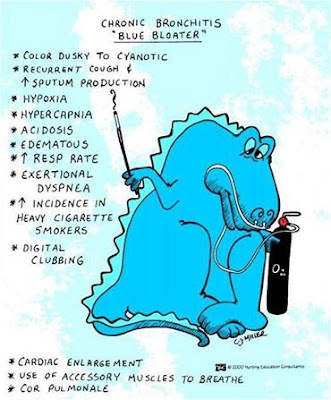 Onset may be precipitated by pressure, trauma, or cold. When asked, the patient usually admits to sleeping on the affected side. On Examination: Nodules are firm, tender, well demarcated, and round to oval with a raised, rolled edge and central ulcer or crust. Removal of the crust often reveals a small channel. Color is similar to that of the surrounding skin, although a thin rim of erythema may be noted. A 28 years old male came to radiology department for X-ray chest with history of breathlessness on exertion since 10 days. X-ray chest shows a large pleural effusion on left side, the trachea and mediastinum are pushed to the right, right lung field is clear. Pleural effusion is the accumulation of fluid in the pleural space, i.e. 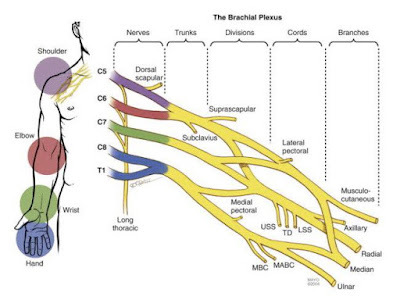 between the visceral and parietal layers of pleura. 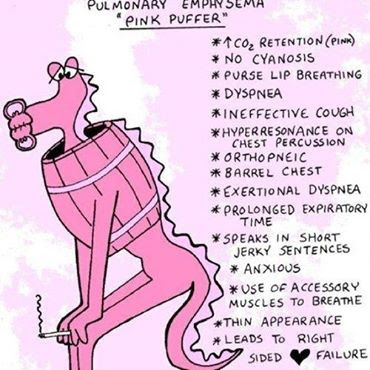 The fluid may be transude, exudate, blood, chyle or rarely bile. Pleural fluid casts a shadow of the density of water on the chest radiograph. 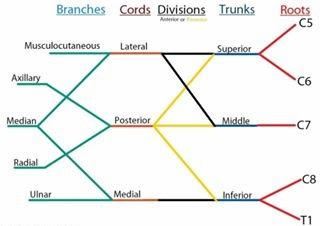 The most dependent recess of the pleura is the posterior costophrenic angle. A small effusion will, therefore, tend to collect posteriorly; however, a lateral decubitus view is the most sensitive film to detect small quantity of free pleural effusion (as small as 50 ml). 100–200 ml of pleural fluid is required to be seen above the dome of the diaphragm on frontal chest radiograph. As more fluid is accumulated, a homogeneous opacity spreads upwards, obscuring the lung base. Typically this opacity has a fairly well-defined, concave upper edge , which is higher laterally and obscures the diaphragmatic shadow. Frequently the fluid will track into the pleural fissures. towards its hilum, and the space occupying effect of the effusion will push the mediastinum towards the opposite side. External Ear Injuries - Brief Description With Pictures. Injuries to the external ear may be open or closed. 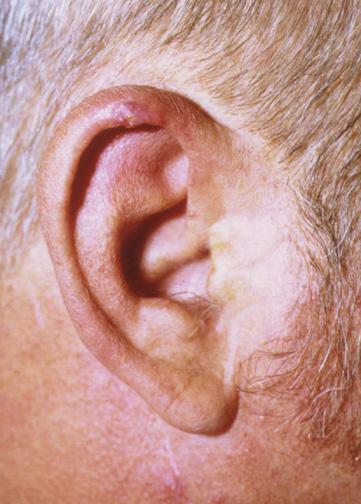 Blunt external ear trauma may cause a hematoma (otohematoma) of the pinna, which, if untreated, may result in cartilage necrosis and chronic scarring or further cartilage formation and permanent deformity (“cauliflower ear”). Pinna Hematoma. A hematoma has developed, characterized by swelling, discoloration, ecchymosis, and flocculence. Immediate incision and drainage or aspiration is indicated, followed by an ear compression dressing. 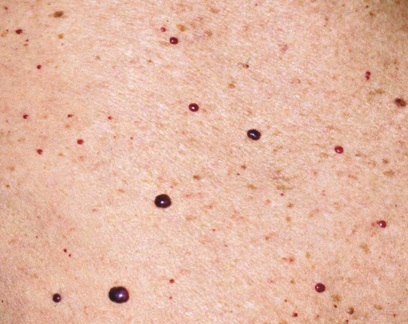 Management: Pinna hematomas must undergo incision and drainage or large needle aspiration using sterile technique, followed by a pressure dressing to prevent reaccumulation of the hematoma. This procedure may need to be repeated several times; hence, after Emergency department drainage, the patient is treated with antistaphylococcal antibiotics and referred to ENT or plastic surgery for follow- up in 24 hours. Lacerations must be carefully examined for cartilage involvement; if this is present, copious irrigation, closure, and postrepair oral antibiotics covering skin flora are indicated. A 19-yr-old woman presents with fever, rash and cough, and is pyrexial, tachycardic and tachypnoeic. She has a florid erythematous rash on her face, trunk and arms, with scattered whitish papular lesions on the buccal mucosa. What is the most likely Dx? Discussion: Adult measles is unusual except in non-immunised persons. 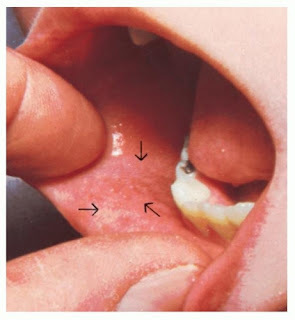 The description of this Pt’s rash is classical: the rash is maculopapular, starts on the face and migrates caudally; Koplik’s spots are present in the mouth. In contrast, meningococcaemia is a petechial/purpuric macular rash with no buccal lesions, and there is no typical migratory pattern. 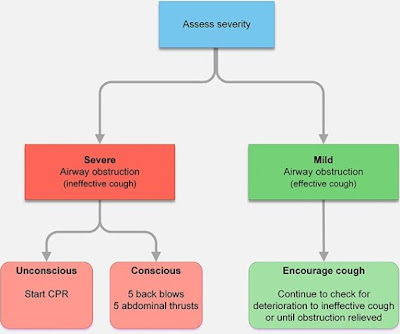 The management of choking is rightly taught as part of first aid. Recognition of the problem is the key to success. Clues include a person experiencing a sudden airway problem whilst eating, possibly combined with them clutching their neck.Victims with severe airway obstruction may be unable to speak or breathe and become unconscious. Flail Chest In A Child Following An Accidental fall From The Rooftop. A 8 years old child was brought to radiology department for X-ray chest following an accidental fall from the roof top. X- Ray Description: X-ray chest (AP view of chest) shows 3rd to 8th rib fractures (white arrows) on left side, each at two places with encysted hemothorax (black arrow) and lung contusion (extends between the asterisks) with mediastinal pushed to the right side. Bacterial conjunctivitis is characterized by the acute onset of conjunctival injection and a thick yellow, white, or green mucopurulent drainage. Lid edema, erythema, and chemosis may also be seen. Bacterial Conjunctivitis. Mucopurulent discharge, conjunctival injection, and lid swelling in a 10 year-old with H influenzae conjunctivitis. 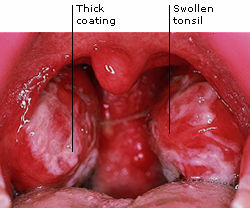 Staphylococcus aureus is the most common causative bacteria. Streptococcus pneumoniae and Haemophilus influenzae occur more frequently in children. Bacterial Conjunctivitis. Mucopurulent discharge and conjunctival injection in an adult with conjunctivitis. Hyperacute bacterial conjunctivitis, the most severe form of acute purulent conjunctivitis, is associated with N gonorrhoeae. 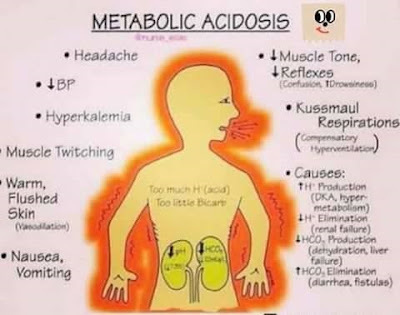 Symptoms are hyperacute in onset, and findings include a purulent, thick, copious discharge, eyelid swelling and tenderness, marked conjunctival hyperemia, chemosis, and preauricular adenopathy. The condition is serious and threatens sight because Neisseria species are capable of invading an intact corneal epithelium. Corneal findings include epithelial defects, marginal infiltrates, and an ulcerative keratitis that can progress to perforation. 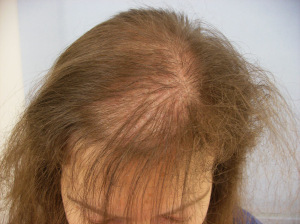 A 27-year-old woman , a mother of 2 children and who is now 6 months postpartum complains of excessive hair loss. 1. The right coronary artery supplies blood to the right ventricle, the sinoatrial (SA) node, the inferior portions of the left ventricle, and usually to the posterior portion of the left ventricle and the atrioventricular (AV) node. 2. Infarctions involving the SA node may produce sinus dysrhythmias including tachycardias, bradycardias, and sinus arrest. Nevus simplex (salmon patch) is the most common vascular lesion in infancy, present in about 40% to 60% of newborns. It appears as a blanching, slightly pink-red macule or patch most commonly on the nape of the neck, the glabella, mid-forehead, or upper eyelids. Lesions generally fade over the first 2 years of life but may become more prominent with crying or straining. Newborn with characteristic salmon patches over his face. 1. Salmon patches are composed of ectatic dermal capillaries. 2. Salmon patches appear symmetrically and cross the midline in contrast to the unilateral distribution of a port-wine stain. 3. When seen on the nape of the neck, this lesion is referred to as a stork bite (see picture below) or as an angel’s kiss when appearing on the forehead. 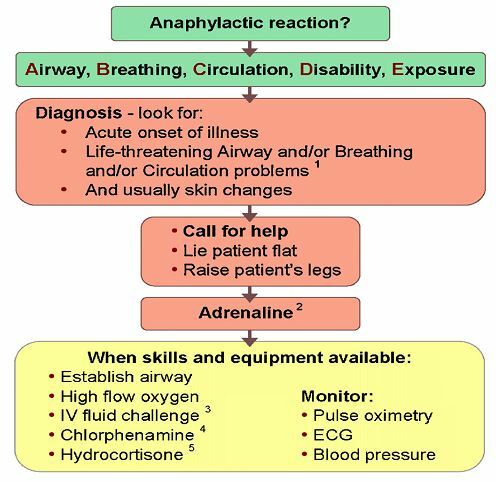 Anaphylaxis is a generalized immunological condition of sudden onset, which develops after exposure to a foreign substance. • Involve an IgE-mediated reaction to a foreign protein (stings, foods, streptokinase), or to a protein–hapten conjugate (antibiotics) to which the patient has previously been exposed. • Be complement mediated (human proteins eg G -globulin, blood products). • Be unknown (aspirin, ‘idiopathic’). Irrespective of the mechanism, mast cells and basophils release mediators (eg histamine, prostaglandins, thromboxanes, platelet activating factors, leukotrienes) producing clinical manifestations. to anaphylaxis. Hereditary angio-oedema is not usually accompanied by urticaria and is treated with C1 esterase inhibitor. 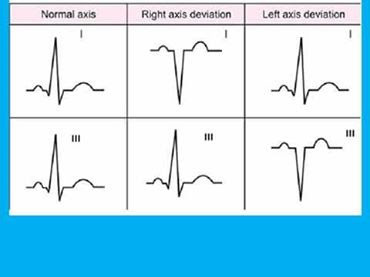 • ST segment elevation in the anterior precordial leads. • V3-V6: Anterolateral injury. Leads I and aVL may also be involved, especially if the circumflex artery is affected (high lateral injury). 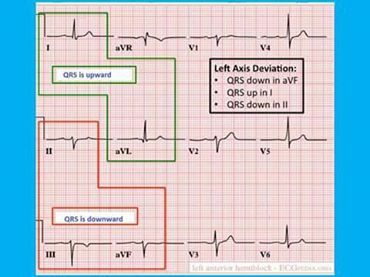 • Reciprocal ST segment depressions are often present in the inferior leads (II, III, aVF). 1. The left anterior descending artery supplies blood to the anterior and lateral left ventricle and ventricular septum. 2. Normal R-wave progression (increasing upward amplitude with R wave > S wave at V3 or V4) may be interrupted. 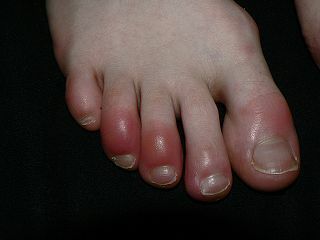 Chilblains (sometimes referred to as pernio) describes a number of symptoms which occur in the peripheries (e.g. toes, fingers, earlobes) in response to the cold. It is thought to be caused by an abnormal vascular response to cold exposure. 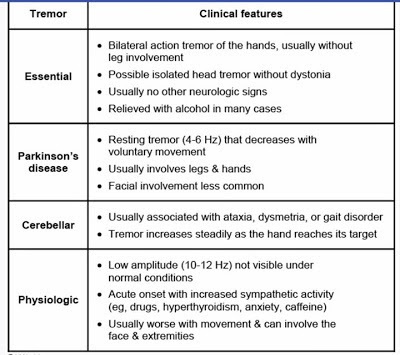 The areas most affected are the toes, fingers, earlobes, nose. Chilblains usually heal within 7–14 days. Depressed skull fractures typically occur when a large force is applied over a small area. They are classified as open if the skin above them is lacerated. Abrasions, contusions, and hematomas may also be present over the fracture site. The patient’s mental status is dependent upon the degree of underlying brain injury. Direct trauma can cause abrasions, contusions, hematomas, and lacerations without an underlying depressed skull fracture. Evidence of other injuries such as a basilar fracture, facial fractures, or cervical spinal injuries may also be present. CT demonstrating depressed skull fracture. Management: Explore all scalp lacerations to exclude a depressed fracture. CT should be performed in all suspected depressed skull fractures to determine the extent of underlying brain injury. Depressed skull fractures require immediate neurosurgical consultation. Treat open fractures with antibiotics and tetanus prophylaxis as indicated. The decision to observe or operate immediately is made by the neurosurgeon. A 58 years old male came to his physician complaining of chest pain for about 6 months. The pain was initially mild but now has gradually increased in severity. The patient mentions feeling tired all the time with no energy and unintentional weight loss. X-ray chest shows a large (8 × 6 cm) well-defined mass lesion abutting the left lower chest wall with broad base towards the chest wall with partial destruction of lateral aspect of 4th rib on the left. Contrast CT chest (Figs A to D) was done which shows moderately enhancing metastatic bone lesion which is rounded and well-defined having a large soft tissue component from the left 4th rib, and right 10th rib (Figs B and C) laterally, the ribs are partially destroyed, few small scattered calcific densities are seen in the lesions. 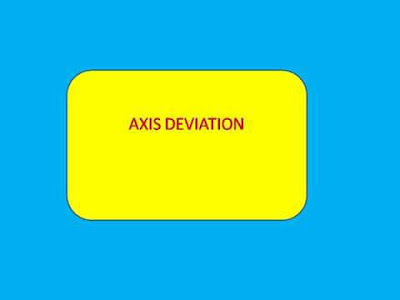 There is a single iso to hypodense lesion seen in liver measuring 5 × 4 cm. The lesion shows moderate heterogeneous post-contrast enhancement (Fig. D). Case Discussion: Primary tumors which originate in other organs and involve the skeletal structures of the body either by hematogenous, lymphatic route or by direct invasion are called metastasis. Definition: Erythema multiforme (EM) is an acute, self-limited, and sometimes recurring skin condition that is considered to be a type IV hypersensitivity reaction. Physical factors such as trauma, ultraviolet light exposure, and cold have been reported to elicit EM. Erythema Multiforme. Symmetric distribution of targetoid macules and plaques. The dusky central zone is more obvious on the left waistline lesions. Erythema multiforme (EM) begins with symmetric, erythematous, sharply defined extremity or trunk macules, and evolves into a “targetoid” or “bull’s eye” morphology (a flat, dusky, central area with two concentric, erythematous rings). Bullae may appear in the central dusky area (bullous EM). A 35-year-old presents with unilateral hearing loss that has been gradual but progressive over the last 6 months. 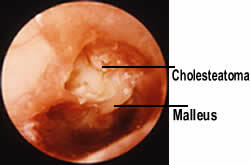 Otoscopy reveals a Cholesteatoma. Cherry hemangiomas also known as Campbell De Morgan spots or senile angiomas are the most common cutaneous vascular proliferations. They are often widespread and appear as tiny cherry-red papules or macules. Longstanding lesions enlarge slowly over time and take on the appearance of a dome topped with cherry-red to deep-purple papules. They are more common with advancing age and affect men and women equally. edema, warmth, pain, and limitation of movement. Fever and constitutional symptoms may be present and are commonly associated withm bacteremia. Cellulitis of the right lower extremity characterized by sharply demarcated erythema an edema. Staphylococcus aureus in nonintertriginous skin, and gram-negative organisms or mixed flora in intertriginous skin and ulcerations. In immunocompromised hosts, Escherichia coli, Klebsiella species, Enterobacter species, and Pseudomonas aeruginosa are common. In recent years, there has been a dramatic increase in the incidence of community- acquire methicillin-resistant S aureus (CA-MRSA), particularly in cellulitis associate with a cutaneous abscess. are positive. 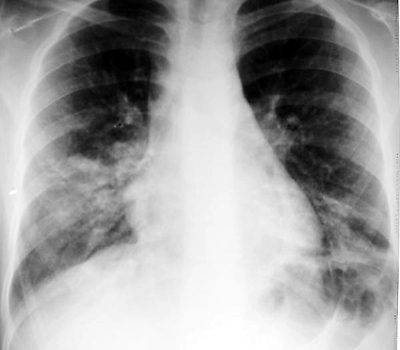 A CXR shows bibasal shadowing. Injury to the acromioclavicular (AC) joint usually results from an impact on the superior aspect of the acromion. 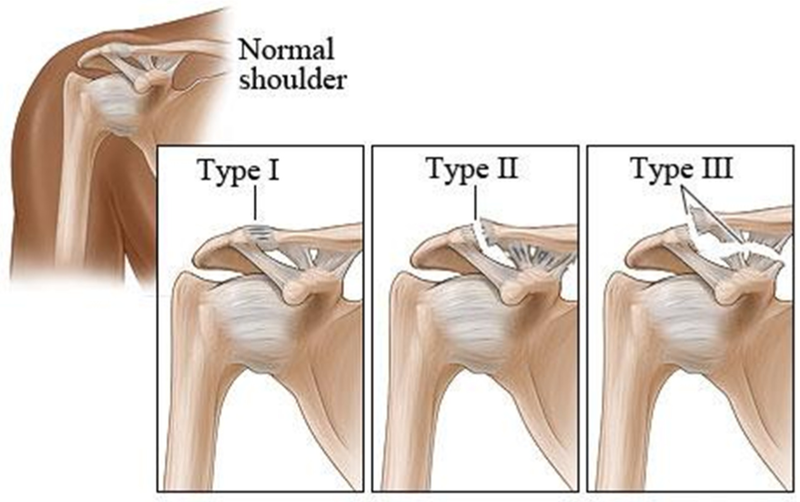 The classification system for AC joint injuries includes six types. 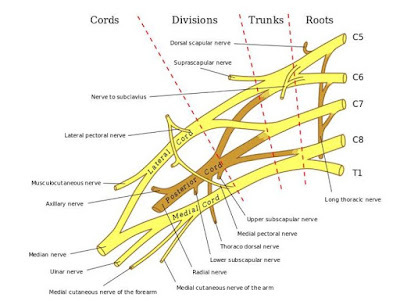 A type I injury is equivalent to a stretching of the AC ligament. A type II injury consists of tearing of the AC ligaments and stretching of the coracoclavicular ligaments. Complete disruption of the AC and coracoclavicular ligaments is seen in types III to VI. Clinical Features: Patients complain of pain at the AC joint and will actively splint the injured shoulder. Ecchymosis may be present; however, an obvious deformity is not always seen. There is significant tenderness upon palpation of the AC joint. Diagnosis: Standard radiographs should include anteroposterior (AP) and axillary lateral views of the shoulder. The clinical findings of traumatic asphyxia are due to a sudden increase in intrathoracic pressure against a closed glottis. The elevated pressure is transmitted to the veins, venules, and capillaries of the head, neck, extremities, and upper torso, resulting in capillary rupture. Strangulation and hanging are common mechanisms. Survivors demonstrate plethora, ecchymoses, petechiae, and subconjunctival and retinal hemorrhages. Severe injuries may produce central nervous system injury with blindness, seizures, posturing, and paraplegia and even death.